The Best Halftime Show of 2016? Is this the best halftime show of 2016 so far? Oh and by the way, this was their first halftime show of the year. As in, they are working on other ones too. Is that Maynard Ferguson? That electric fiddle player is IN THE BAND!?! Okay, okay. I'm calming down. 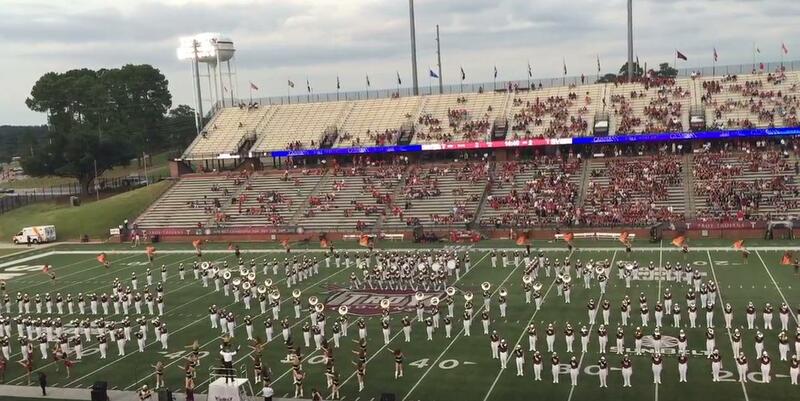 It's the Sound of the South from Troy University. That I know for a fact. The rest is truly just unexplainable. Watch and share this incredible show by the SOUND OF THE SOUUUTTTHHHH!